You've been chosen. You've finished your training. You've become one of the elite. You are one of the Men in Black. Now it's time to start busting some alien scum. 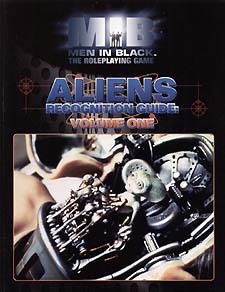 The Alien Recogniton Guide provides Directors with more aliens for their players to track down. Within these recently declassified folder you will find 25 new alien races rady to use for your campaigns. Some of them are well known to the MiB, some are virtually unknown... to everyone.